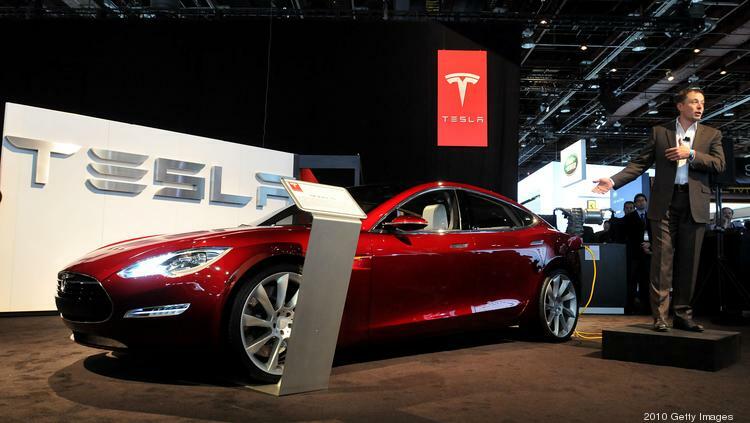 Tesla CEO Elon Musk has made a bold prediction: Tesla Motors will have a self-driving car within two years. Although Musk’s comments to Fortune came Monday, The Street pegged a rise in Tesla’s shares to the comments on Tuesday. The ambitious timeframe appeared to be offering support to the stock again today, with shares trading up $1.47, or 0.64 percent, at $231.42 around 7:18 a.m. PST. Musk’s driverless-car comments may have been overshadowed initially by the achievement of SpaceX on Monday night in landing a rocket during a commercial mission for the first time. Musk is also CEO of SpaceX. This is the most aggressive timeline Musk has mentioned. While Musk claims the problem is easier than people think it is, he doesn’t think the tech is so accessible that any hacker could create a self-driving car. Musk took the opportunity to call out hacker George Hotz, who claimed via a Bloomberg article last week that he had developed self-driving car technology that could compete with Tesla’s. Musk said he wasn’t buying it. The company went so far as to post a statement last week about Hotz’s achievement. While Tesla is unconcerned about Hotz, the company’s new timeline may have other autonomous car developers hitting the accelerator. 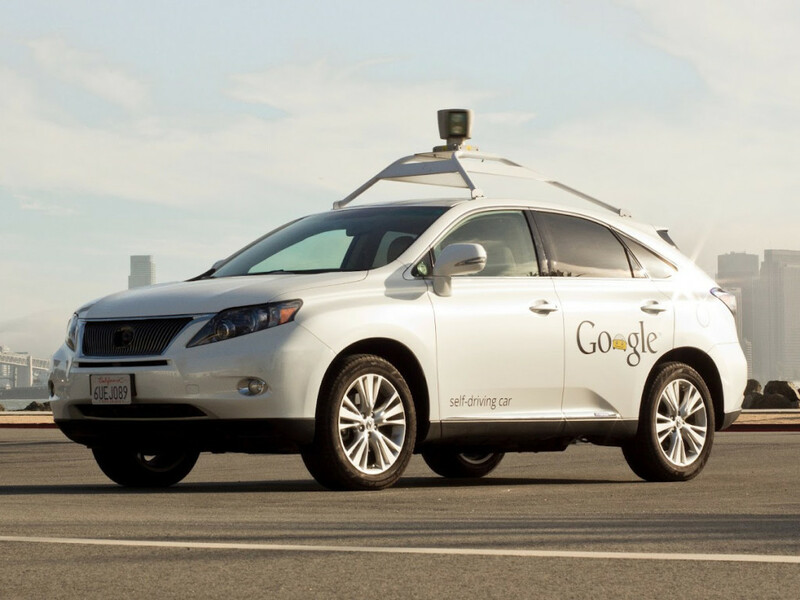 Tech companies like Google and Apple, in addition to automakers such as Volvo and General Motors are all competing to be among the first to offer some form of self-driving tech. 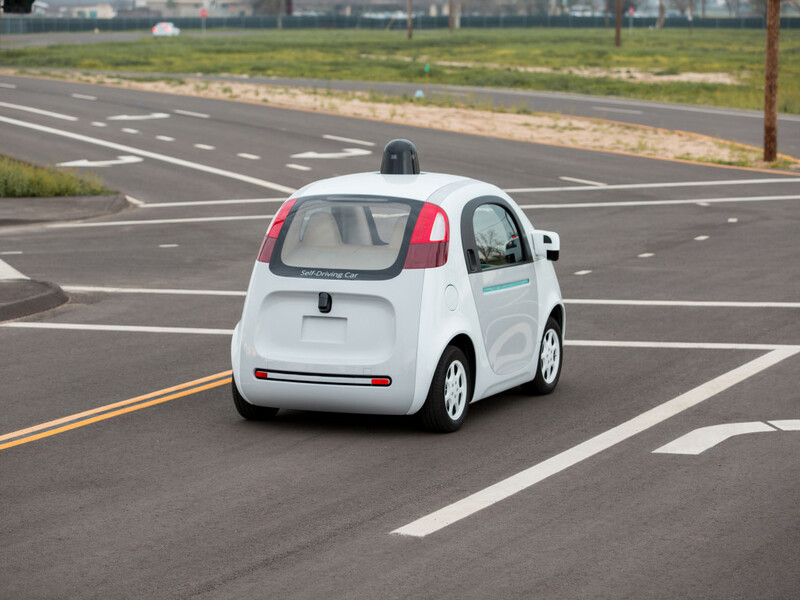 Many believe the early 2020s would be a realistic timeframe to expect to see the public engaging with self-driving cars. 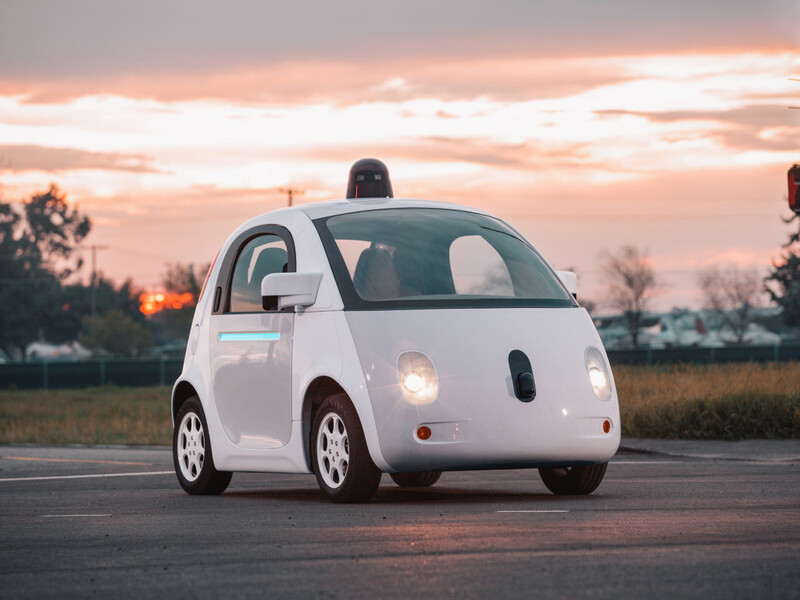 Just yesterday, it was reported that Google and Ford will enter into a joint venture to build self-driving vehicles with Google’s technology, according to Yahoo Autos, citing sources familiar with the plans. The official announcement is expected to come during the Consumer Electronics Show in January, but there is no manufacturing timeline. 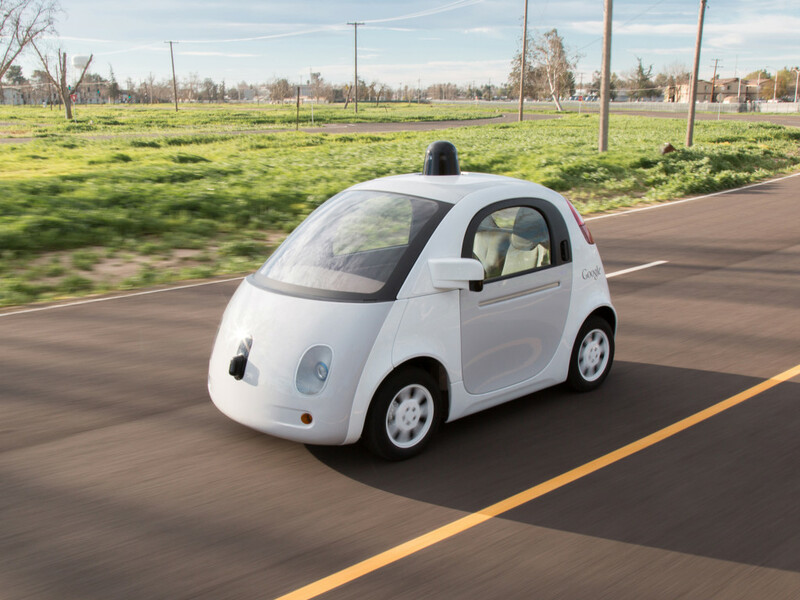 But even if Tesla moves quickly on self-driving cars, are consumers ready for them? The Palo Alto-based carmaker’s recent Firmware 7.1 Autopilot update includes restrictions on self-driving features. The update only allows its Autosteer feature to engage when the Model S is traveling below the posted speed limit. The update came shortly after it was reported that drivers were involved in dangerous activities while the Autopilot features were engaged. Dieser Eintrag wurde veröffentlicht in Innovation, Innovatoren und getaggt mit Elon Musk, Self Driving, Tesla am 23. Dezember 2015 von innovation. Google has been developing this technology for six years, and is taking a distinctly different approach than everyone else. Conventional automakers are rolling out features piecemeal, over the course of many years, starting with active safety features like automatic braking and lane departure warnings. 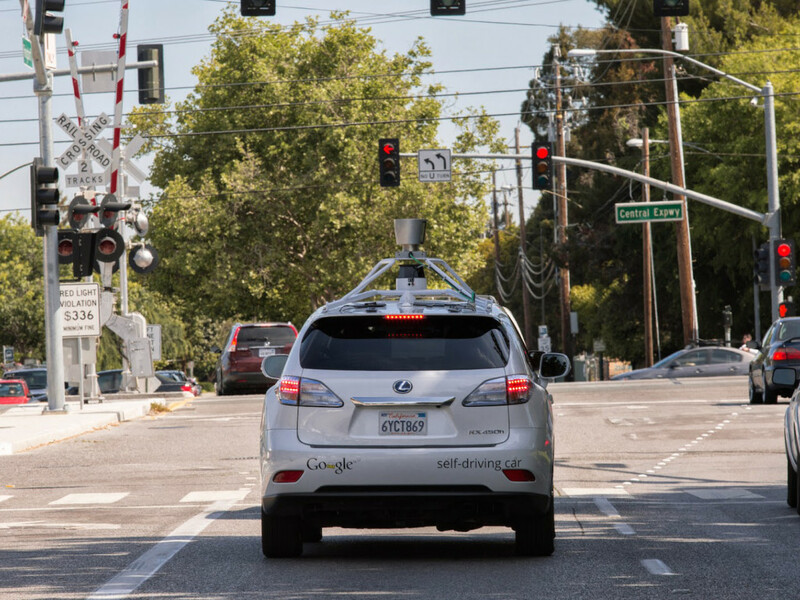 Google doesn’t give a hoot about anything less than a completely autonomous vehicle, one that reduces “driving” to little more than getting in, typing in a destination, and enjoying the ride. It wants a consumer-ready product ready in four years. 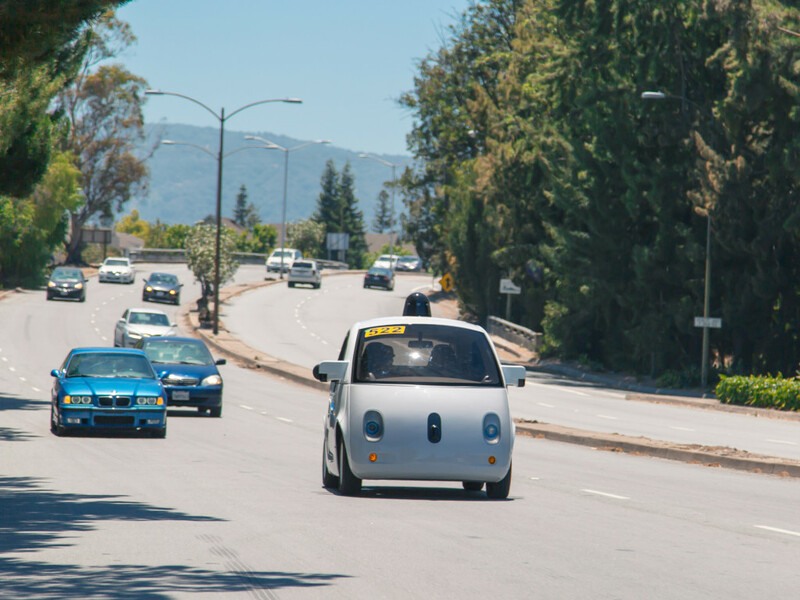 The Silicon Valley juggernaut is making rapid progress. Its fleet of modified Lexus SUVs and prototypes has racked up 1.2 million autonomous miles on public roads, and covers 10,000 more each week. 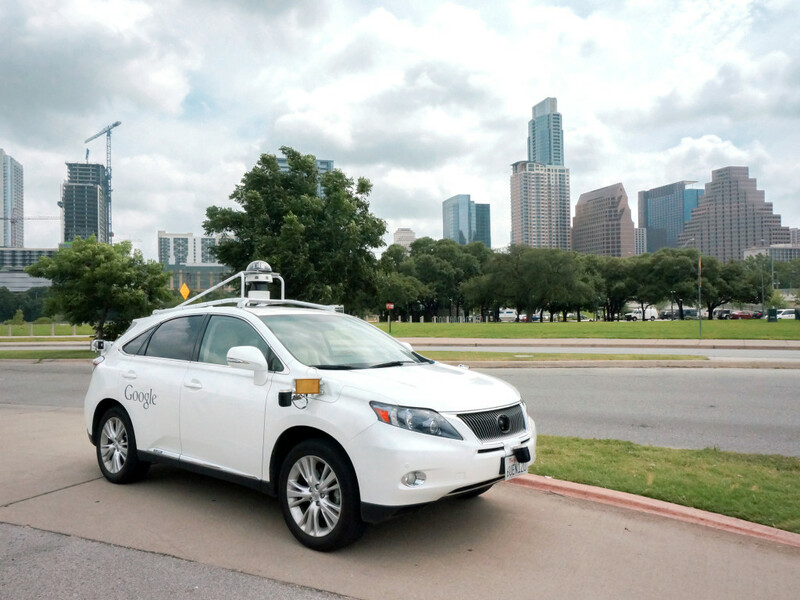 Most of that has been done in Mountain View, and Google expanded its testing to Austin last summer. It’s unclear how this technology will reach consumers, but Google is more likely to sell its software than manufacture its own cars. At the very least, it won’t sell this dinky prototype to the public. 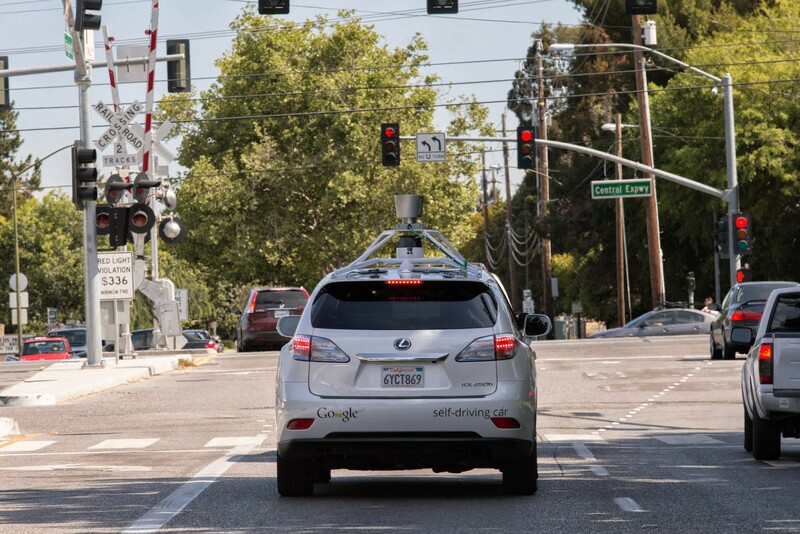 As the Google car moves, its laser, camera, and radar systems constantly scan the environment around it, 360 degrees and up to 200 yards away. “We look at the world around us, and we detect objects in the scene, we categorize them as different types,” says Dmitri Dolgov, the project’s chief engineer. The car knows the difference between people, cyclists, cars, trucks, ambulances, cones, and more. Based on those categories and its surroundings, it anticipates what they’re likely to do. Making those predictions is likely the most crucial work the team is doing, and it’s based on the huge amount of time the cars have spent dealing with the real world. Anything one car sees is shared with every other car, and nothing is forgotten. From that data, the team builds probabilistic models for the cars to follow. Those are the key learnings the test drive on the roof parking lot was meant to show off. If I may anthropomorphize: The car spotted a person on foot walking near its route and figured, “You’re probably going to jaywalk.” It saw a car coming up quickly from left and thought, “There’s a good chance you’re going to keep going and cut me off.” When the cyclist in front put his left arm out, the car understood that as a turn signal. This is how good human drivers think. And the cars have the added advantage of better vision, quicker processing times, and the inability to get distracted, or tired, or drunk, or angry. 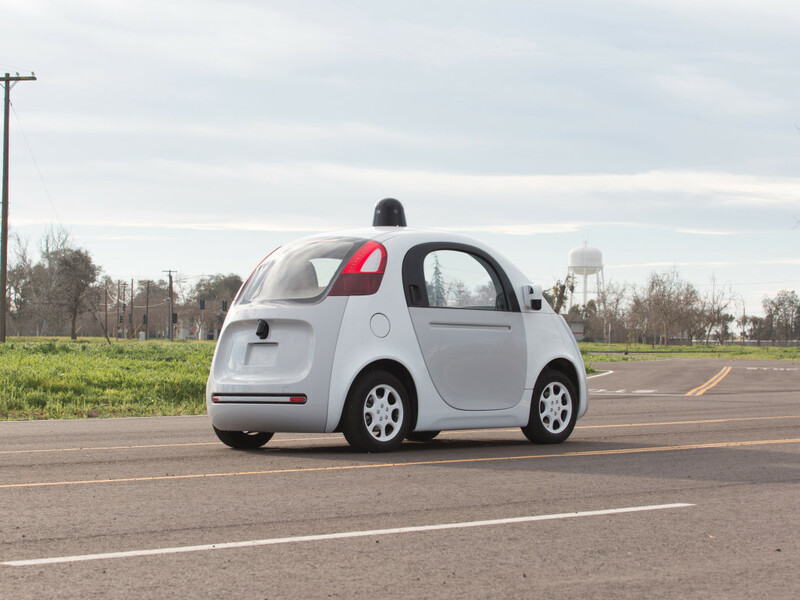 One of Google’s cars once encountered a woman in a wheelchair, armed with a broom, chasing a turkey. Seriously. Unsurprisingly, this was a first for the car. So the car did what a good human driver would have done. It slowed down, Dolgov says, and let the situation play out. Then it went along its way. Unlike a human, though, it did not make a video and post it on Instagram. Dieser Eintrag wurde veröffentlicht in e-mobility, Einfachheit und getaggt mit Self Driving am 5. Oktober 2015 von innovation. After 1.7 million miles we’ve learned a lot — not just about our system but how humans drive, too. Dieser Eintrag wurde veröffentlicht in e-mobility, Einfachheit, Mobility und getaggt mit accident rates, America, autonomous, city streets, google+, National Highway Traffic Safety Administration, road safety, Self Driving am 14. Mai 2015 von innovation. Dieser Eintrag wurde veröffentlicht in e-mobility, Mobility und getaggt mit autonomous, autonomous driving, car, city streets, Self Driving am 29. April 2014 von innovation.